Yesterday (Sunday, September 30th, 2012) was a big day for SooFoo! 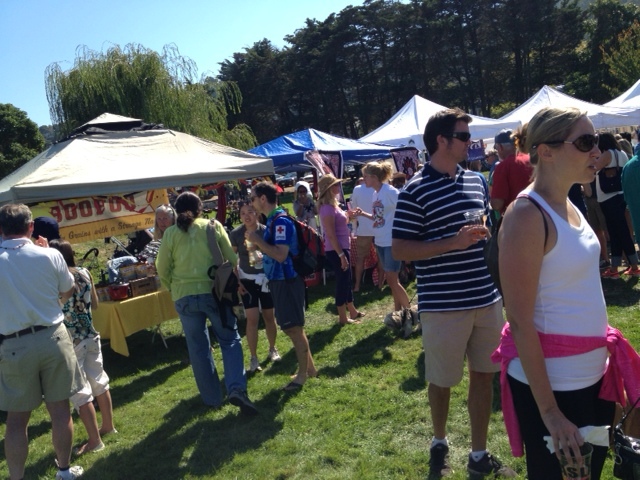 We decided a couple weeks ago we should enter a chili into the 34th Annual Sausalito Chili Cook-Off. 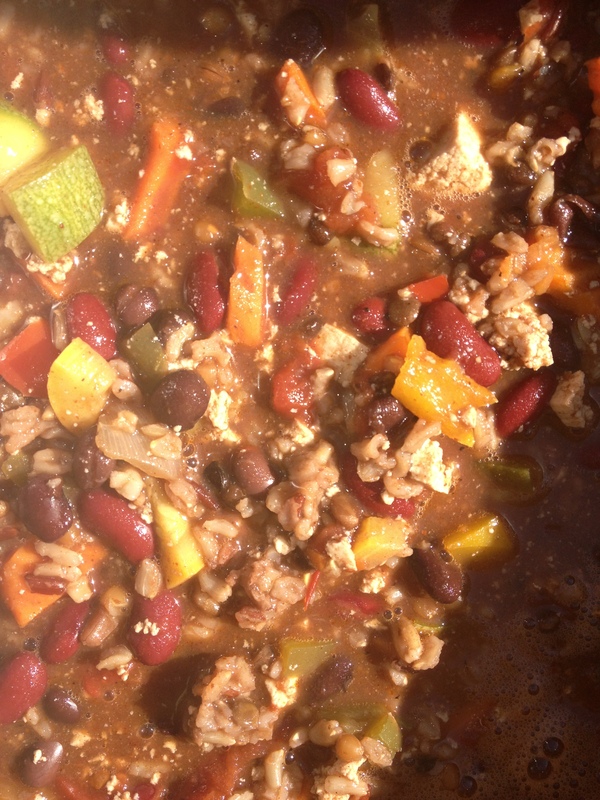 But not just any chili, we had people submit their favorite SooFoo vegetarian chili recipe via our Facebook page. We ended up with a flood of entries which made it very difficult to pick a winner. We finally decided to pick Elayna Spruill’s Vegetarian Chili to serve to the masses and to try and win. We made up a couple of batches, tinkered with it and finally decided on the perfect way to serve it. Finally Sunday was here and we were off to Sausalito. We set up early amongst the other entrants. Fall is here with the smell of various chili recipes in the air! 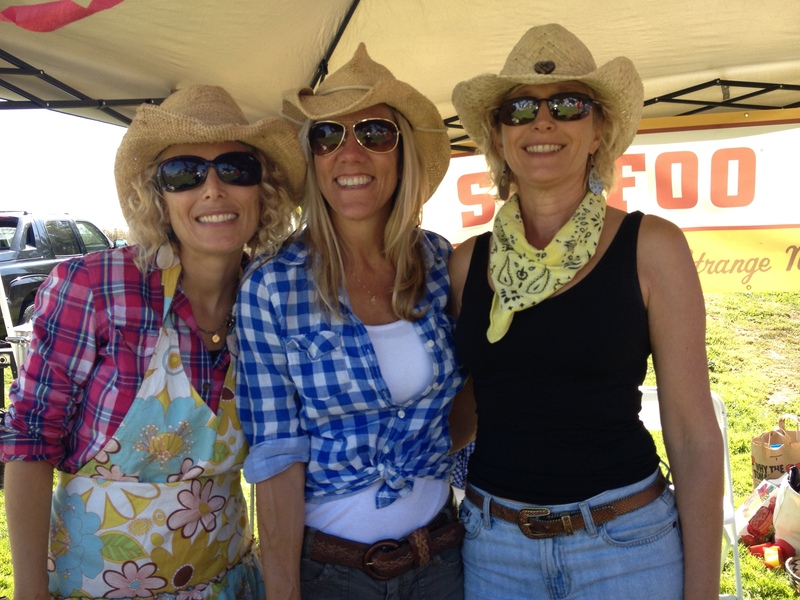 We had a top notch team on hand to help promote SooFoo and to make some outstanding chili. 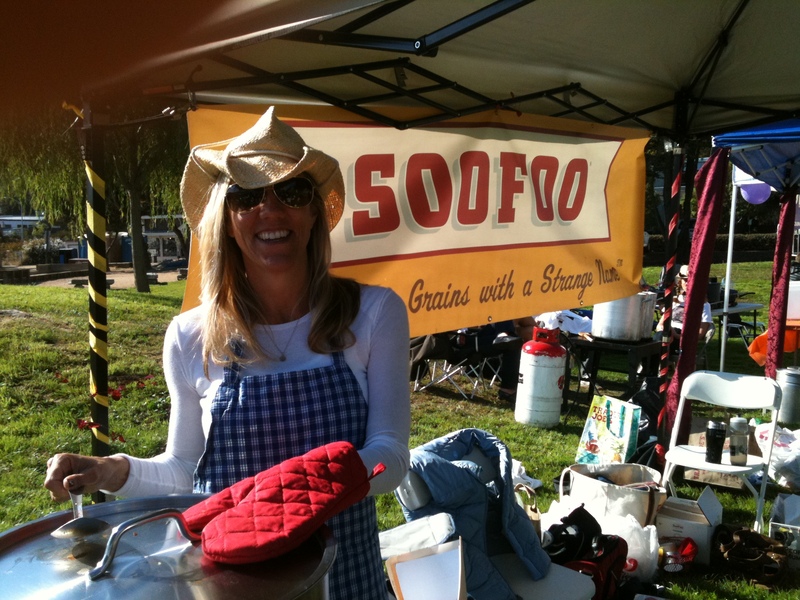 Once things got started the SooFoo booth was busy and we got lots of good compliments on our chili. 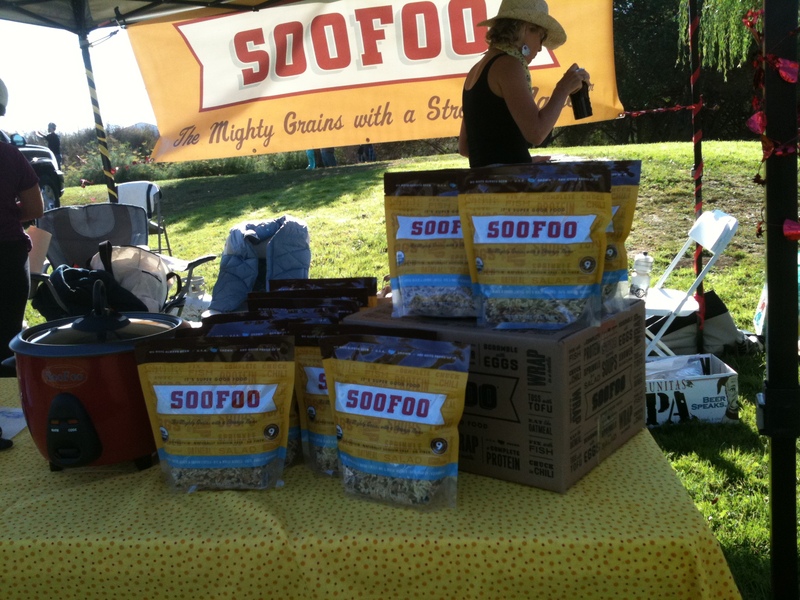 We had plenty of SooFoo on hand! Who doesn’t love this stuff? We even took some time out to take some photos, it was a perfect bay-area fall day! Oh and the chili? It was amazing! Great mix of SooFoo 9-grain blend, vegetables, spices and broth. So finally it came judging time. How did we do? We placed! 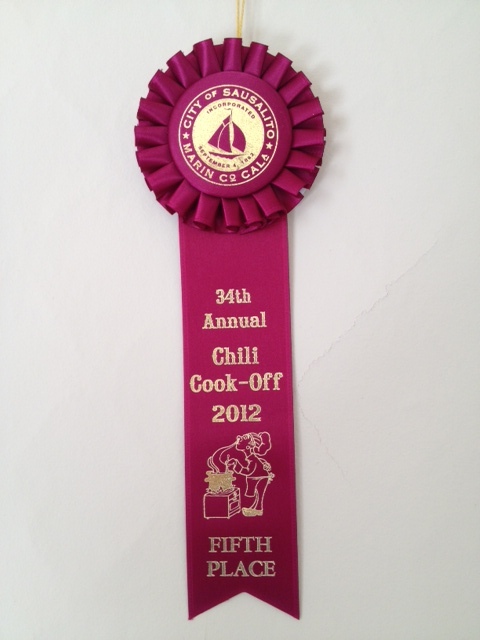 We were voted the 5th best chili of all bowls of chili and were the top ranking vegetarian chili. I think we’ve got a hit! 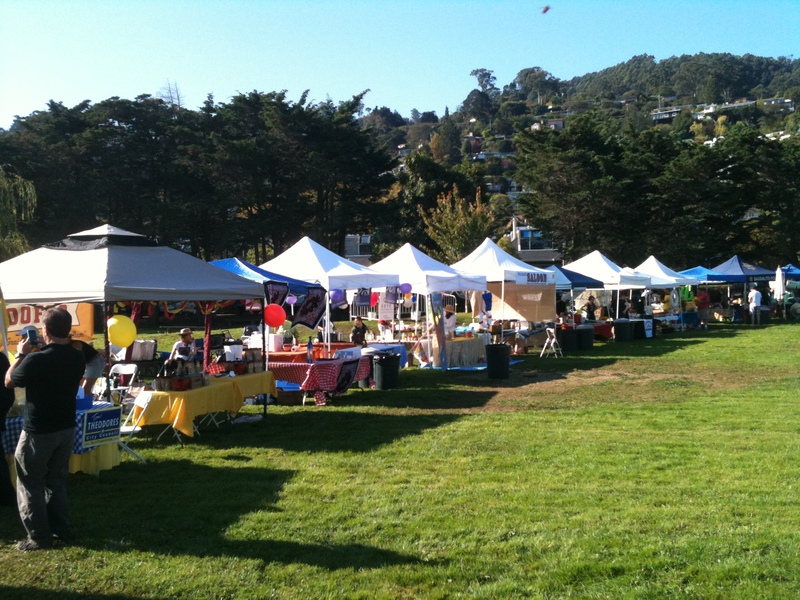 Thanks to the bay-area SooFoo team for all of their hard work yesterday! And thanks to Elayna Spruill’s Vegetarian Chili! Sounds like we owe Elayna a prize too! 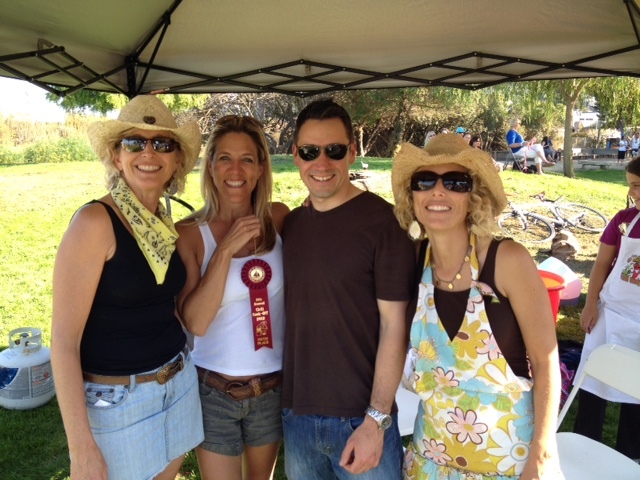 5th Place Overall, Top Ranked Vegetarian Chili! We will be adding the recipe to this blog and our website soon! And I think we might have to come back to see if we can improve next year!